Born and raised in Stratford, Meagan completed high school at Stratford Central Secondary School . Upon graduation she was accepted into Pre-health Sciences at Georgian College in Barrie Ontario. She then continued on for the three year Dental Hygiene program, where she graduated with honors and was the recipient of the Sunstar Canada Preventative Award for Dental Hygiene. 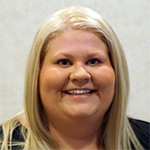 Meagan is part of the ODHA and is looking forward to continuing education events this coming year. In her spare time Meagan enjoys trying out new recipes and relaxing with family and friends. Corinne graduated from Dental Assisting Level II program in 2008 from Medix. 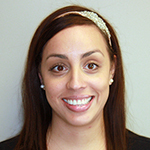 Corinne joined our practice in 2008 and became a certified level II Dental Assistant. She lives in Seaforth with her husband and new Baby Nolan. She is passionate and dedicated to her role as a leading Dental Assistant with Dr.Jankowski and uses her sense of humor to help ease patients during treatment. Corinne leads an active lifestyle continuing to be involved in her community with sports activities. Jenny Graduated from Level II Dental Assisting at Canadore College in North Bay , Ontario in 2001 with honours. During her studies Jenny was a recipient of the Dr.Gary Julian Memorial Award June 2001. Additional awards included the most outstanding student and the Crystal Lewis Memorial Award June 2001. Jenny made the decision to return to school to further her dental knowledge and desired to become a Dental Hygienist. Graduating as a Registered Dental Hygienist from Fanshawe College in 2003 with honours. She is a member of the ODHA and CDHO. Jenny has worked for the practice since 2004. 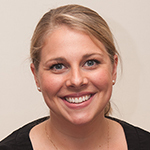 Jenny is our designated Hygienist to work on our Orthodontic cases alongside Dr.Jankowski. She enjoys seeing Patients for their monthly orthodontic visits. Jenny gets very excited to see the beautiful transformations and confidence Patients receive once their orthodontic case is complete. Stephanie was born and raised in Kitchener/Waterloo. 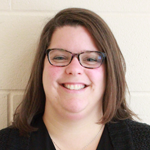 After high school, she went on to complete a 3-Year Business Marketing Program at Conestoga College. That opportunity led her across the world to Sydney Australia to further her studies in Marketing at the University of Western Sydney. She continued her travels for a year before returning back to Canada to work for a local advertising agency. After several years in the industry, Stephanie decided to seek employment in the healthcare field. At 25, she left the wonderful world of advertising and became a full time student again enrolling in the Dental Assisting program at Durham College and then again for Dental Hygiene at Fanshawe College in London Ontario. Stephanie currently works full-time as a Registered Dental Hygienist providing general dental hygiene care for adults and children. 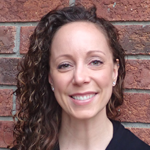 She has been a member of the Ontario Dental Hygiene Association for the past 7 years. She is married and has an 11 month old baby boy. Karen moved to Canada from Cuba with her husband. While still living in Cuba Karen completed 2.5 years of Dentistry at the University. Upon coming to Canada Karen graduated from Medix College as a Dental Assistant Level II in 2014. Karen joined our practice this year working alongside Dr.Jankowski. Karen is passionate about dentistry and strives to help patients understand treatment options and care. She enjoys spending time at home with her husband and baby girl. 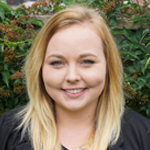 Stephanie lives in Mitchell and graduated Fanshawe College in 2015 for Dental Assisting. She is a member of the Ontario Dental Assisting Association. As a recent graduate Stephanie can't wait to expand her knowledge and see what the future holds. Kerstin was born and raised in Germany. She moved to Canada in 2004 where she met her husband, and now has 2 adorable girls. 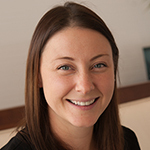 In 2006 Kerstin attended CDI College in Kitchener where she graduated with honours and obtained her accreditation as a Certified Dental Assistant. 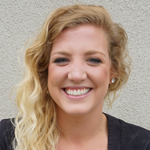 Kerstin enjoys helping people and she always tries to put a smile on every Patient's face! Kelly was born and raised in Embro, on her family's dairy farm. Kelly graduated from dental assisting at Georgian College in 2011 and worked with Dr. Jankowski as a Clinical Dental Assistant for 3 years. 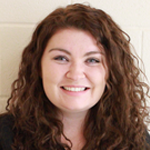 Kelly decided to expand her career and enrolled in the Dental Hygiene program at Fanshawe College. We are excited to have Kelly return to work with our Team again! In her spare time Kelly stays active playing hockey in Woodstock for senior BB and hangs out with her great dane dog, Lucy! 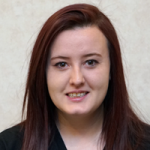 Kelly looks forward to the new world of dental hygiene and expanding her knowledge gaining experience! Larissa is one of our Registered Dental Hygienist. 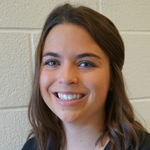 She graduated from the Dental Hygiene program at Niagara College in 2015 on the Presidents honor roll. Additionally, she was the recipient of the Niagara Scholar Award. Upon graduation Larissa successfully completed the National Dental Hygiene Certification Board Exam. As a recent graduate she can’t wait to expand her dental knowledge and is looking forward to continuing her education. 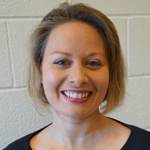 She is an active member with the CHDO and ODHA. Larissa enjoys working in the dental industry and on her spare times loves staying active and playing sports. She also enjoying spending time with family and friends. April was born and raised on her family’s pig farm, near a little town called kinkora. After attending Stratford Northwestern Secondary School, she completed her dental hygiene program at Georgian College in Barrie. April graduated in 2017 and is now a active member of the CDHA and ODHA. She’s Looking forward to expanding her knowledge and helping people find confidence in their smile. Outside of work, April enjoys spending time with friends and family. 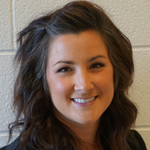 Kaytlynn is a Registered Dental Hygienist and an active member of the CDSO and ODHA. 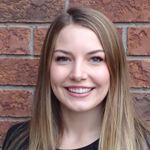 After highschool at Sir Frederick Banting in London ON, she went on to study Pre-Health Sciences for a year at Fanshawe College and continued to attend Fanshawe for Dental Hygiene in their three year advanced diploma program where she graduated in 2015. As a child Kaytlynn always loved going to the dentist, so picking a career in the dental field was fitting for her. When Kaytlynn is not at work she enjoys spending time with her husband and daughter, where they are anxiously awaiting the arrival of their second child. Ashley was born and raised just outside of Milverton. After completing high school at Stratford Northwestern Secondary School, she attended Georgian College in Barrie for Dental Hygiene. 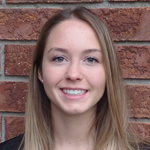 After graduating from this 3 year accelerated program in 2017 with honors, Ashley is now a registered member of the College of Dental Hygienists of Ontario ( CDHO). Her mission is to ensure that all clients are satisfied with their care and have the proper knowledge that they need to help make the best decisions for their oral health. Ashley is excited about her new journey in the dental field and is looking forward to being able to grow in the profession of dental hygiene. In her spare time she enjoys being outdoors and spending time with friends and family ( which includes her dog and two cats). Graduated from Dental Assisting Level II program in 2008 Everest College with honours. Tammy achieved her certified accreditation from the ODAA in 2009. Tammy worked both Chairside and Office Administration. She learned very quickly her passion was in office administration. Continuing her education in 2010 at George Brown College achieved honour status in her Treatment Coordinator program. Tammy took on the new responsibility and roles of Office Manager. Tammy loves being able to utilize her dental knowledge to help patients understand their treatment options available to them. She takes pride and care with each and every patient's unique treatment plans and situations. My name is Taylor! Welcome to our practice! I am one of the friendly faces at the front desk. It is very important to me that each of you enjoy the feeling of ease and confidence in our office. I love to find ways to help people smile and that includes building self confidence to share their smile! I am happy to answer any questions, plan appointments, help resolve concerns and make your visit extremely positive. I hope to expand my knowledge and go to school for dental assisting. I love spending time with my baby boy and exploring outdoors! Jackie was raised close by in Tavistock and now resides in beautiful Stratford. Jackie brings her service experience gained through her travel and tourism education to our administration team. Jackie quickly learned she loved taking the trips more than scheduling them. When Jackie is out of the office she enjoys camping, fishing, reading and bbqs with friends and family.